Bringing you the best of Perth. If you like this article, click the heart below and subscribe for more. If you have an event/place that you'd like to see on WeekendNotes, let me know! If you're over the overpriced popcorn, budget seating, and flat pack generic movie experience, don't fear. While those are a great hang out for high schoolers, I generally find myself craving something unique, and I don't think it's just me. There's something about the classic Marilyn Munroe, black and white, comfy theatre seats, and crackly audio. It's a classic view of how cinemas used to be, and these cinemas will take you back to the golden days. Whether they're offering art house, indie films, or outdoor settings this article will help you find something more memorable (and often cheaper), perfect for that first date, or 40th anniversary, a night out with friends, or just heading out for an evening to yourself. Luna Palace films have several cinemas across Perth, but they aren't your average chain. They offer a variety of film festival material from British to Czech & Slovak to Russian. They play almost exclusively indie films, the ones that you won't see in the mainstream cinema chains. Luna Leederville has been rated as the best of the Luna cinemas, but there are others over Perth. Luna Leederville is a revamped theatre which still has relics of the old charm. 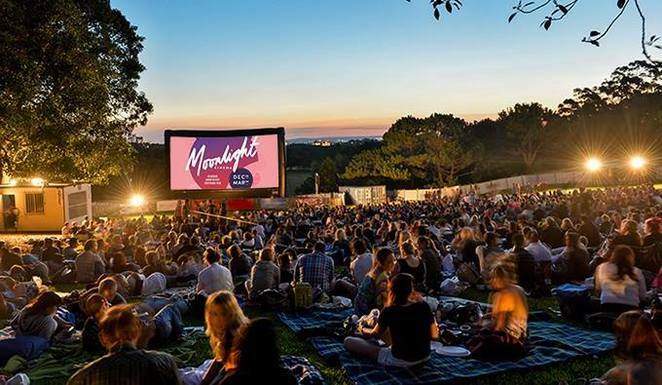 During the summer months look out for their outdoor movie screening. Movies to check out include Wednesday, May 9th which follows the stories of three desperate people from Tehran, Iran. Two of them badly need money, the third badly wants to give it away. There are plenty more films being shown at Luna, from heartbreaking to inspiring to spine-tingling. During the summer months (starting December) Moonlight Cinema shows movies outdoors at King's Park. While their selection is more standard fare than Luna, it's not run of the mill either. They have a big screen at Synergy Park, King's Park where you can relax. Food and non alcoholic beverages are available, as well as BYO. Don't forget to bring something comfy to sit on. Ramp up your evening by purchasing either Gold Grass or Glam Grass tickets. Gold grass is for a premier experience with 'table service' as it were, your own bean bed for the evening, and front row seats, so you don't have to constantly lean around someone's head. At $35 it's a pretty reasonable price for the experience you get. Benefit Cosmetics' Glam grass is $30, and perfect for a girl's evening out. You get your own bean bed and special seating, plus a deluxe sample kit of Benefit Cosmetics. Perfect for a Hen's night, birthday evening, or just any night you need a treat. For an entirely different outdoor experience try Rooftop Movies. From the same people who do Fringe world, they offer a unique experience. 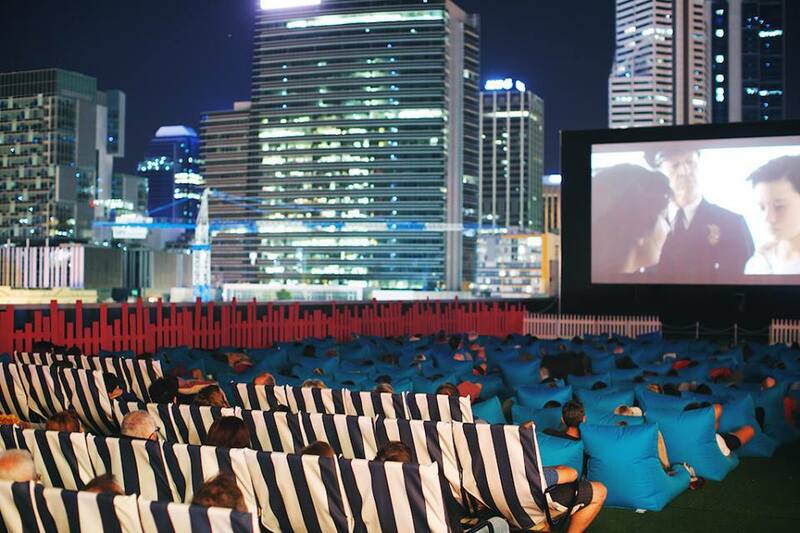 Thanks to the partnership with City of Perth Parking you can be surrounded by the top of the highest buildings in Perth, as you watch a movie on what is usually just a car park. As well as the movie, there's food and drink available at the bar. There are also blankets available for $5, or it's recommended to bring your own as it can get cold. This is for 18 plus, but check the website for further conditions. Don't forget to bring cash, if you're wanting to buy anything, otherwise you'll have to go back down and find an ATM. Lastly, keep an eye out for community showings. Sometimes it's a local organisation that's offering a one-time showing of a popular or classic movie. These are often advertised in local newspapers/Facebook pages. You never know what might be showing right around the corner. Love the bean bed idea, Laura - very creative!